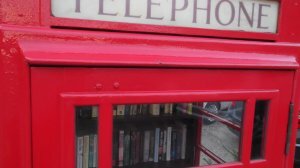 The red telephone kiosk on Wymeswold Road in Hoton has been adopted by the Parish Council and now houses display cases and a much loved book-share scheme. There are 16 windows available to display your artwork. It is open to all villagers, adult or child, at any time; accomplished artists or budding amateurs, paint, crayon, pencil, photo - you choose. Give artwork to a Parish Councillor or to the Clerk. The content of 'works' should be suitable for public display. The administrator will act as moderator. The art display is strictly for fun and not for and promotion or commercial gain. Artworks will be changed on an ad-hoc basis unless events or themes have been announced. The bookshelves in the telephone box provide a way for Hoton villagers to share books. If you have just enjoyed a book and would like someone else to enjoy it too, bring it along and leave in in the telephone box. You may find your next great read there too. The spirit of sharing - feel free to take a book. If you take a book, try to leave a book. If you don't have a book to leave right now leave one when you can. No book dumping - do not leave books if there is no room on the shelves. Be aware of content - place children's books on the lower shelves, books for adults on the higher shelves. Please do not leave anything that may cause offence. If in doubt - contact the clerk or a parish councillor if you have any questions. Donate a book - leave a book only if you are happy to give it up. Keep it in the community - the Community Book-share shelves are for the use of residents of Hoton. Encourage your neighbours to enjoy it but don't tell everyone.